Brexit: what does the (rest of the) EU actually want? When the 27 remaining EU leaders meet for an informal summit in Bratislava this Friday – minus the United Kingdom – Brexit will not officially be on the agenda. But as they gather to consider the union’s future in the wake of the British referendum, the UK’s impending departure from the bloc will undoubtedly hang over the proceedings. Much has been said about Britain’s stance since the referendum in June, the nature of the divorce it will seek from the EU, and when the government will trigger the process. Apart from declaring their attachment to certain key principles such as the free movement of workers, European leaders have been united in arguing that no negotiations can begin until the UK invokes Article 50 of the Lisbon Treaty, and that the UK first needs to set out its demands. 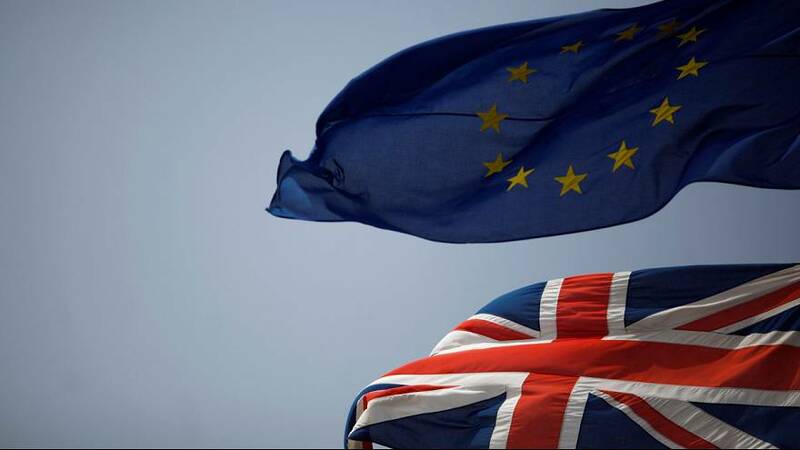 While the British government takes its time setting up its Brexit machine and working out its position, what can we glean about what the European Union would like to see from Brexit? On the question of timing, several leaders are singing from the same hymn sheet: they want to see the Brexit ball rolling quickly. EU Commission President Jean-Claude Juncker echoed the feelings of many in his State of the Union address on Wednesday. The previous week it was the turn of European Council President Donald Tusk to apply the pressure. A rather more patient tone has been struck from the German Chancellor Angela Merkel. Describing Brexit as a ‘deep break’ in the EU’s integration during a summer tour of European capitals, Merkel also said the 27 states should ‘allow the UK the time it takes to work out what relationship it wants with the EU’. The EU exit negotiations will be entering unchartered waters. One EU source told the EUObserver “no one knows yet what the Brexit talks will look like”. They are expected to be dominated by member states, but the Commission will also play a major role, and the European Parliament stresses future deals will need its approval. While British Prime Minister Theresa May has said Article 50 won’t be triggered until next year, it’s thought uncertainty over the outcome of French and German elections could bring further delay. Former European Council President Herman Van Rompuy predicts substantive talks are unlikely before late 2017, following the German election due in September. “Our goal to establish closest possible EU-UK relations”, tweeted Donald Tusk. “Relations with the UK… must remain on a friendly basis”, said Juncker. There are warnings that failure to strike agreements for the post-Brexit era would damage both the UK and the EU. Yet the union also arguably has a political objective of not giving Britain too smooth a ride. The talks are expected to centre around access to the UK for EU workers, and access to the Single Market for British firms. The Treaty of Rome signed in 1957 established the so-called “four freedoms” in goods, services, capital and people – with the free movement of workers an essential element. For the UK, intent on restricting migration from the EU in line with voters’ wishes, obtaining access to the Single Market presents the biggest challenge – assuming it wishes to do so. Divided though the EU may be on other issues – the Brexit vote prompted a backlash over the bloc’s direction – on free movement there appears to be a united front, and it doesn’t look encouraging for Britain. If UK wants access to #SingleMarket, it must also accept the free movement of citizens. Our four freedoms are inseparable. “There can be no à la carte access to the Single Market,” Jean-Claude Juncker said in his address this week. President Hollande reiterated the European position last month: The UK “will not be able to access the single market”, he said, “unless its accepts the four freedoms, all its regulations, and budgetary solidarity”. The language from Ireland is uncompromising. London must allow free movement if it wants unfettered access to Europe’s markets, Prime Minister Enda Kenny said in a radio interview. “Let me tell you that around the European Council table, that is an issue that will not be given in on,” he said. Poland has offered to play the role of the intermediary to help the UK in the Brexit talks – but is also reportedly sticking to the official line on free movement, despite talk of “compromise” and “trade-off” with Brussels from Deputy Prime Minister Mateusz Morawiecki. Poles are now the largest foreign-born group in the UK. According to plans leaked to Politico, the Bratislava summit is to address the “unintended consequences” of free movement – but officials have reportedly stressed that any flexibility is likely to fall well short of measures Britain will want to implement to curb migration. The free movement of people is by no means the only obstacle to UK-EU agreements post-Brexit. Deeper access to the Single Market may also involve demands to pay into the EU budget and accept relevant EU rules, for example. The City’s “passporting” rights for financial services to do business in Europe is also a matter of contention. Once the process is underway the complexity of the task ahead is such that not one deal, but six will be needed – according to the Centre for European Reform. Arguing that neither the EU nor the UK has an interest in a divorce that diminishes their global influence and damages their economies, one group of experts has proposed a Continental Partnership whereby Britain could have looser ties outside the EU’s more integrated inner circle. Instead of accepting the free movement of workers, it suggests the UK could agree to some degree of labour mobility whilst exerting some control. The authors include a senior German lawmaker, an adviser to the French prime minister and an ex-deputy head of the bank of England – but whether their report will have influence in future talks has been called into question. As things stand, the British government risks being caught between the rock of EU intransigence on free movement, and the hard place at home where Brexiteers have vowed to pounce on any “backsliding”. There is a chorus of voices arguing that the UK can go it alone successfully even outside the Single Market, and they are unlikely to take kindly to certain compromises. The flag-planting extends to European politicians, especially over free movement. But some question whether – when push comes to shove during the negotiations – the prospect of a “cliff edge” scenario, where no deal is struck, may force positions to change. Britain’s Chancellor (finance minister) Philip Hammond is reported to believe that European industry is ‘desperate’ to maintain free trade and will increasingly make its voice heard. A German government report has forecast that Britain’s exit could result in a significant rise in Berlin’s contributions to the EU budget. Other factors may come into play, further weakening the EU: awkward referendums are due in Italy and Hungary, elections are scheduled in Austria, the Netherlands, and not least in France and Germany. Amid what has been described as a phoney war, one difficulty for the UK is how to explore possible solutions when advance negotiations are expressly ruled out before Article 50 is invoked. Another is that aside from both sides’ economic interest in seeing deals being done, the EU may not want to let Britain have its cake and eat it. Brexit is a “huge problem politically”, Germany’s Economy Minister and Vice-Chancellor Sigmar Gabriel said last month. “We need to make sure that we don’t allow Britain to keep the nice things, so to speak, related to Europe while taking no responsibility,” he added.